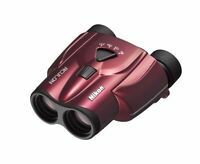 The Nikon ACULON T11 is an excellent set of compact, lightweight, and fully functional binoculars. The T11 features an extremely small and portable design while still offering big bonuses like a 24x optical zoom. With dimensions of 4 inches by 6 inches by 2 inches and a weight of only 1 pound, these binoculars are designed to be small enough to unobtrusively fit in your pocket or purse. This makes them extremely easy to bring along on any adventure, and you can easily store them in your backpack so that they're handy whenever you need them. Nikon ACULON binoculars make the perfect accessories for any outdoor enthusiast. Water-resistant and fog-proof, this set of binoculars offers almost unlimited versatility. Constructed from durable materials, the Nikon ACULON T11 can stand up to almost any type of weather conditions and provide users with years of viewing enjoyment. The BaK4 reverse Porro prism and bright multicolored optics regulate the light intake for excellent performance. The performance is even great in low-light conditions at sunset, in the early morning, or under forest cover. The total internal reflection of the prisms results in the ideal level of resolution and brightness. These features combine to offer superior image quality. Whether you're out on an African safari or simply watching birds in the backyard, you will enjoy the view that the Nikon ACULON provides. With a three-time zoom and 25-mm objective diameter, these tiny binoculars pack a powerful punch.Featuring a focus distance of 4 meters, these Nikon binoculars are great for viewing small items up close. 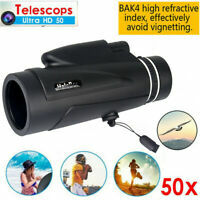 It provides an 8-24x magnification capability and a narrow field of view that makes it easy to focus on tiny subjects. The black non-reflective surface helps to avoid catching your subject's attention, and the rubber coating helps ensure a solid grip while dampening sound that could frighten timid wildlife.The T11 has a sleek modern design, and the size and weight make it extremely comfortable to hold even for extended periods of time. Get progressively closer to your subject without taking a single step by using the continuously variable zoom feature. The zoom control lever is centrally located and makes it a breeze to magnify your subject with a simple finger motion. Use this versatile tool to scan large areas at a lower magnification and then easily zoom in when you find an interesting subject.A key component in binocular design is the eye relief. This is a measure of the distance from the exit pupil, known as eyepoint, to the outer surface of the eyepiece lenses. The T11 features an eye relief of 13 mm, and the turn-and-slide rubber eyecups allow you to adjust the eyepoint to its most comfortable position. Users with eyeglasses will appreciate the full field of vision without vignetting. The ACULON comes with standard accessories, including a soft leather padded case with Velcro closure, carrying strap, and lens caps. These will help to ensure that your ACULON 8-24x25 binoculars are protected and will perform like new for years to come. Great binoculars for the price. I have been very satisfied with these binoculars. They adjust to my glasses well. Only problem is zoom requires more light at higher magnification. I use them deer hunting and are very satisfied. 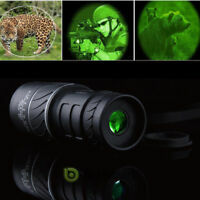 This is a lightweight travel binoculars for very limited amateur use only. Optical performance is deteriorated quickly in low light situations. Very low sensitivity especially at the end of the zoom range. Recommended only for well lit environments. Average product. Great small compact design binoculars. Well made with Excellent optics, as you would expect from Nikon. 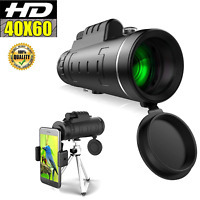 These binoculars are designed to be very convenient to carry, such as when you are on vacation and space is at a premium. The zoom feature works great, but at the higher magnification you do need a steady hand. The compact design means the field of view is reduced and it can be difficult to locate objects, but you can find them on the lower magnification and then zoom in for a close up view. Also the available light is less through the smaller objective lens which can make it difficult to see in low light situations, like twilight or early dawn. I use these binoculars hunting, friends told me I would need a bigger pair to pick up light in the early morning and late afternoon ,but they worked great both times. 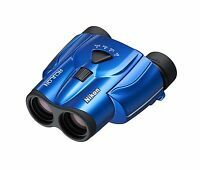 If anyone is looking for a small pair of binoculars I would recommend these all day long.